Whilst we’re dedicated specialists in cycling short breaks with a weekend format – as you’d expect from our name – we can also arrange fully customised holidays for clubs and groups with dates, stay length and pretty much every aspect of your stay tailored to suit your requirements. Our regular Bike Weekender ‘Classic’ or Bike Weekender ‘Lite’ work on a Thursday – Monday 4 night basis, and are available in a range of locations on fixed dates throughout the summer. If you have a group of 6 or more, and would like to take a longer cycling break, arrive or depart on different days to Thursday and Monday, or cycle in a location on a date not offered on our standard calendar, we can make it happen. We can also plan completely bespoke trips as special events for cycling clubs or groups of friends. 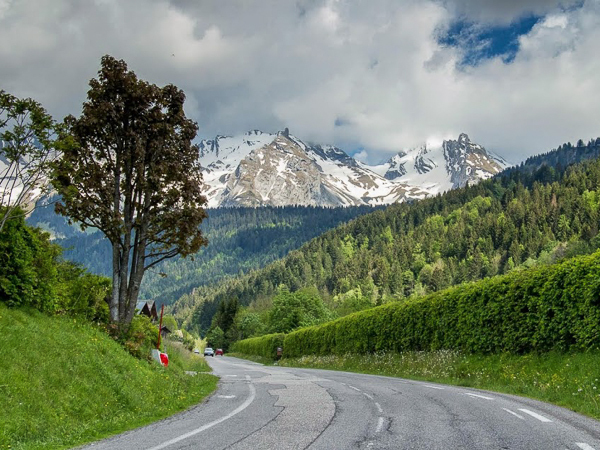 With our knowledge of great riding areas and accommodation, 15 years of experience running active holidays and range of resources on-hand to support tours, we can put together a truly special road cycling event in France for you. When organising a bespoke group holiday with us, we make it really easy for the trip leader to administer. Whilst it is down to you to promote the trip within your group and to get people interested, we can take over all of the booking side of things for you! If you wish, we can build you a personalised web page with your own branding, and tailor it specifically to your trip – with your itinerary and a custom booking form, just for you. You simply send people to the page and we do the rest. We take all of the payments and guest details, which leaves you free to liaise with us on the finer details of your trip. It couldn’t be easier! Southern France is as close to perfect a destination for keen cycling groups as you could hope to find. Warm climate, quiet roads, varied terrain and a deeply rooted cycling culture all combine to make for a fantastic time in the saddle, whilst our planning and support work makes the experience stress and hassle-free from beginning to end. Our goal for every break is to let you focus completely on the hard work of cycling through amazing landscapes and soaking up relaxed French culture in-between rides. We can put together itineraries for club cycling challenges, charity events and groups of all makeups and experience / fitness levels. From the forests, lakes and mountain cols of the French Alps, to sun-drenched Provence and the glittering Côte d’Azur, there really is a wealth of different cycle-routes and accommodation locations possible. 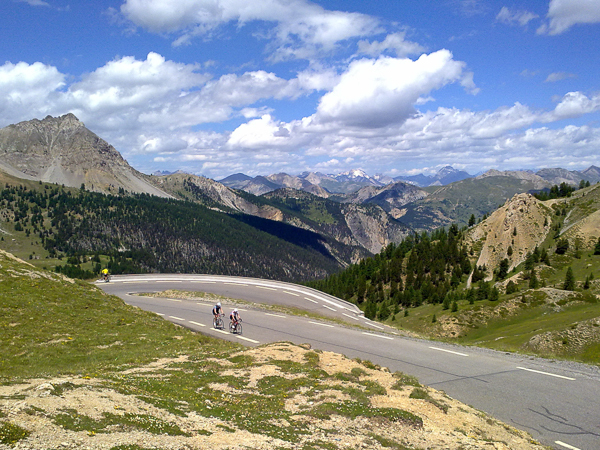 There are also many special road-cycling events and races which can be worked into a trip… try your legs in fun local cyclosportives and larger amateur races like the Etape and Marmotte, or combine riding famous cols with spectating roadside on several stages as the Tour de France itself passes by. All of these custom road cycling breaks, available for groups of 6 or more, are tailor-made for each group to match their individual needs as closely as possible. If you’re planning this kind of trip, just contact us with your ideas, group size and preferred dates / location, and we’ll work with you to build your perfect cycling holiday. The Aravis Mountains are just 1 hour from Geneva airport, making them ideal for shorter breaks without time wasted on airport transfers. 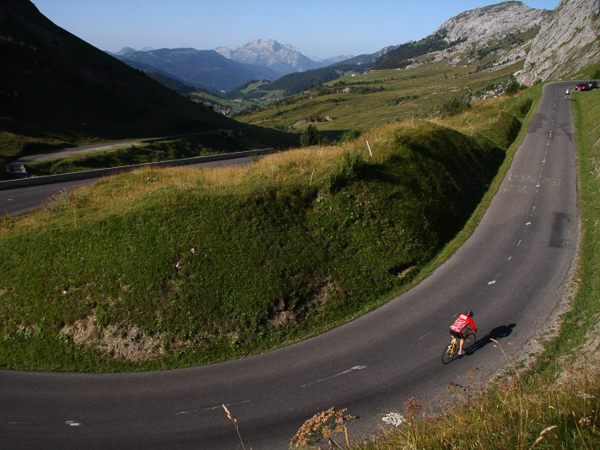 Our cosy base, the Aravis Lodge, has a huge amount of great cycling possible straight out the door, from famous cols to lakeside routes around Annecy. Majestic scenery, famous cycling routes, classic mountain hospitality and cuisine… nothing about the Southern French Alps is done by halves! If you like the idea of staying deep in the heart of rural France whilst cycling the quiet roads of the Luberon national park – no problem. 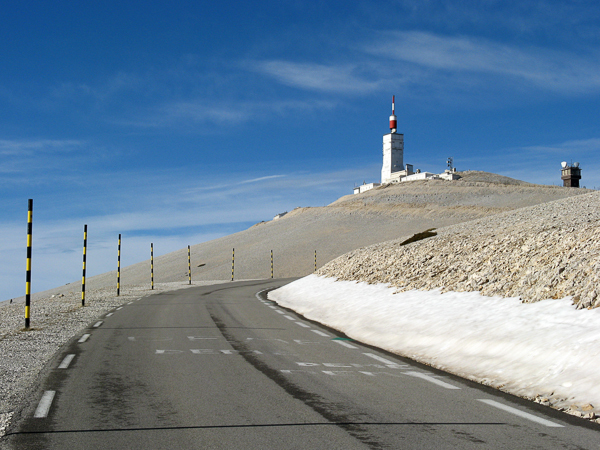 And if you’re really up for a challenge, you can attempt the gruelling triple-ascent of Mont Ventoux to join the ranks of the ‘Club des Cinglés’… we will be there providing all the support you need, to give the best chance possible for your group or club to become cycling legends! 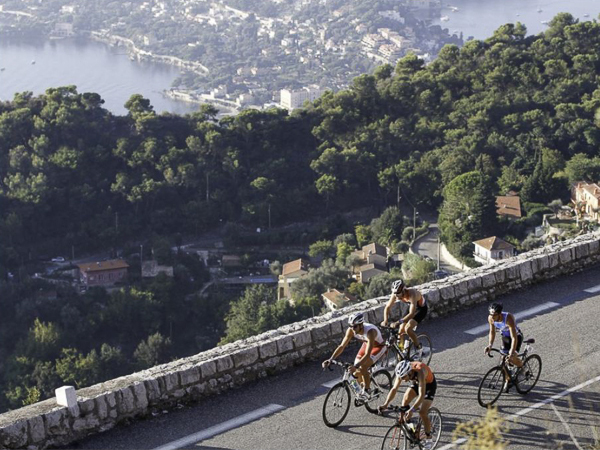 Glittering seas and beachside combine with quiet roads inland through rolling hills of cork forest to make the Côte d’Azur a stunning location for a cycling trip. With an enviably mild climate throughout the year, it’s a perfect location for group and clubs to start off summer early with a holiday in May, or round things off with a late trip in September. Palm trees, sea views and chilled rosé wine… what more could you want for a relaxed road biking break? Need help arranging a group or club cycle break?